Ravenous carnivores, be still your rumbling stomachs! Hawksmoor is here to take care of you, to feed you to within an inch of your life, and leave you fuller than you have ever been before. Rapidly gaining recognition as the best steak in London, Hawksmoor provides every cut and every size to suit any appetite, but we all know you’re going to try and eat as much as you can, right? And I heartily encourage you to because this place is amazing. 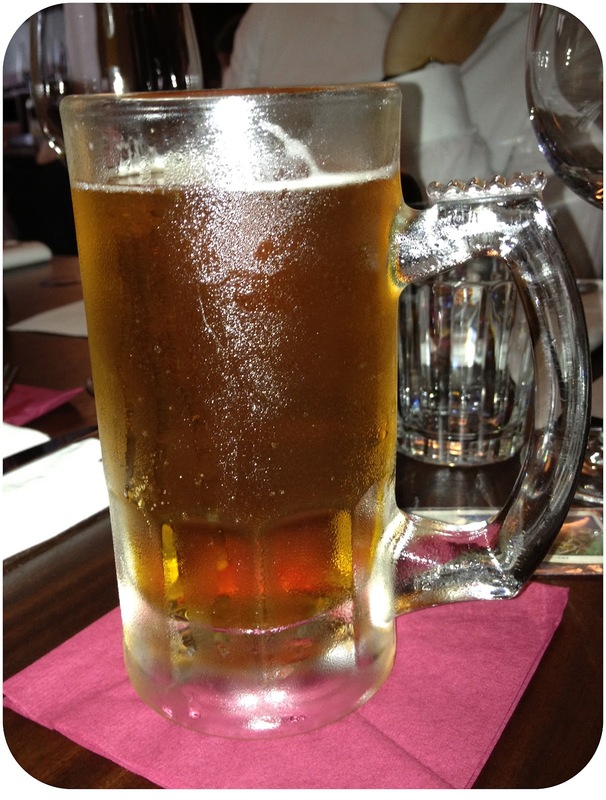 I started off with a tankard of pale ale – a mistake in hindsight; such a heavy meal does NOT need beer. 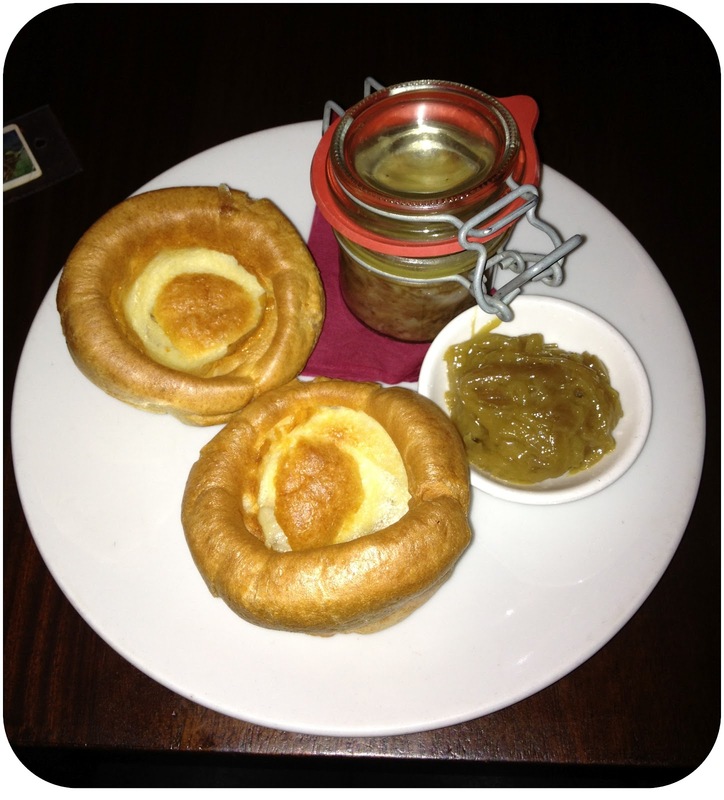 My starter was potted beef and bacon with Yorkshires and an onion marmalade. You don’t need me to tell you what it was like. Just look at it, you know it’s going to be delicious. 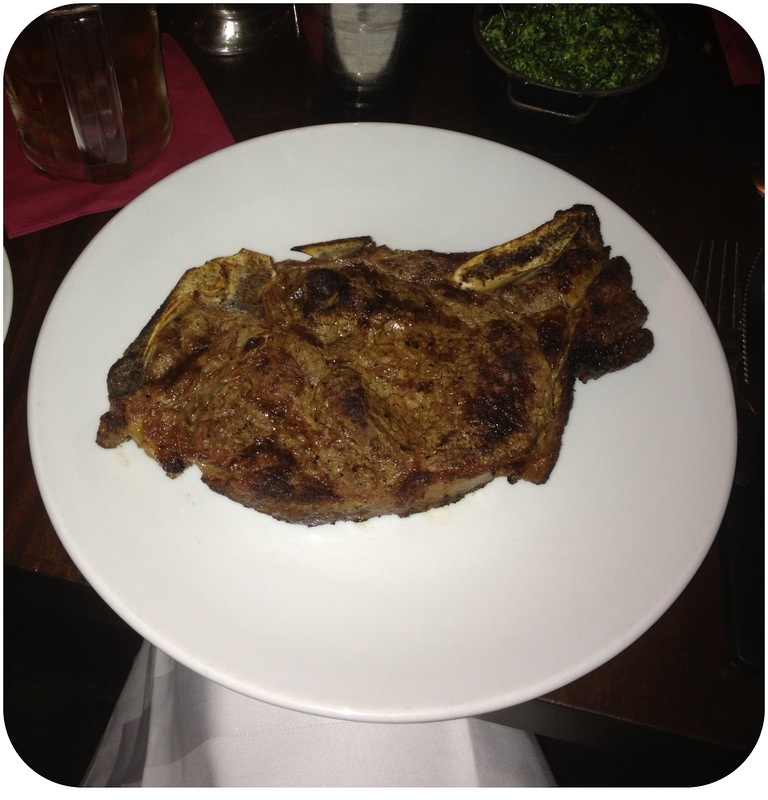 The Hawksmoor website proudly states that they serve ‘dictionary-thick steaks‘. They aren’t kidding. The first is my 600g Rib Eye. 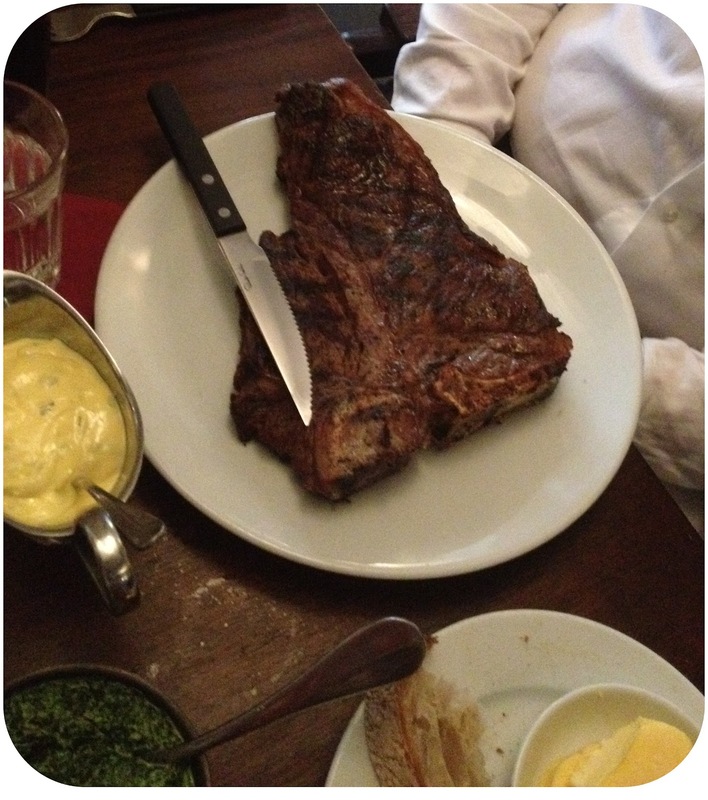 The second is my colleague’s 800g Porterhouse (with knife for scale!). I had sweet potato and creamed spinach with it too. It was so beautifully tender and perfectly cooked that the knife to cut it was merely a pleasantry, I could have easily used plastic cutlery to tear it. This really is a meat-eater’s dream restaurant. Next up, I want to try their Sunday roast. Bring it on! All photos property of Shopped and Dropped, do not re-use without permission.